An important step in making sure that your home is ready for the winter properly preparing your windows from the freezing temperatures. Do so will insulate your home and keep it energy efficient when the weather is at its worst. Intelligent Design can help you protect your home by replacing your old windows with new energy-efficient windows. If you’d like to replace your windows before winter gets here, schedule an installation today. 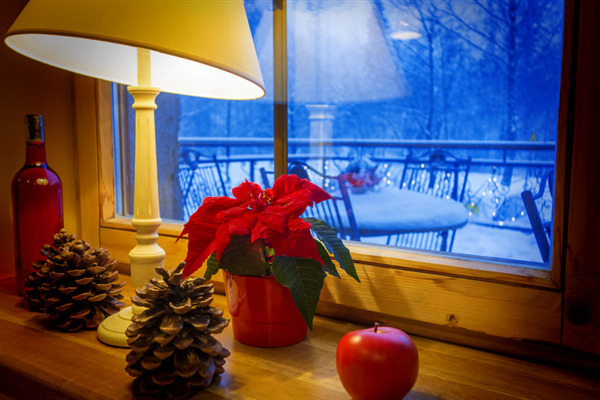 Below are some tips on how to protect your windows and home this winter. When you close your windows, you want them to seal as tightly as possible to make sure that the warm air stays inside and the cold air stays outside. Weatherstripping is an easy and practical way to seal your windows. Small piping, usually made of rubber, foam, metal, or plastic, lines the closure of doors and windows to tighten the seal and keep out the cold winter air. The different types of weatherstripping are best used depending on the type of windows and window frames that are in your home. Replacing your summer curtains with heavy, dark curtains, will reduce cold drafts that can seep through the windows. Look for curtains with thermal lining or fleece. You should also try to find thick curtains that keep the cold temperature out, as well as the air. If the small gaps in your window are causing cold drafts to creep into your home, consider buying rubber weather sealing tape. Measure the length of strip you need, and cut and press it into the cracks of your window. It will last all winter, and will not alter the appearance of your window design. Carefully remove the tape when the weather starts to warm up. If none of the above techniques work, you may need new windows. Over time both the window and the window frame will start showing signs of wear and tears by allowing more air and cold temperatures to invade the house. A Window World contractor can perform and complete inspection of your home to determine if you need new windows. With new energy-efficient windows, you will notice a remarkable difference in how warm and comfortable your home is. If you are ready to replace the windows in your home, contact Intelligent Design Services. We offer complete window installation and replace for residential properties in Minneapolis and the surrounding area. To schedule a window inspection or installation, call us today at 763-315-0745.